Have any of you guys ever used a french press??? They're great for making coffee and even tea. This one from #UltimateKitchen is so pretty! 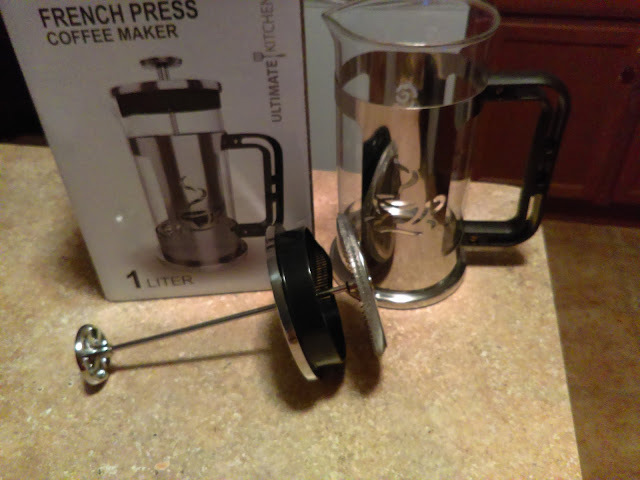 Using a French press is a nice alternative to using an electric coffee machine or Keurig. Once you learn how to use it, it's really simple. It only takes a few minutes. To use this product, you pour hot water into the glass carafe and let it sit while you boil some more water in a pot on the stove. This helps keep the carafe warm and will keep your coffee hot longer. Once your water is boiling for a few minutes, turn it off, and let it cool slightly. Pour out the water that was in the carafe. Then, you pour in 8 tbs of ground coffee. Next, you pour in half of the water and stir with a wooden spoon or spatula. Let it sit for about 30 seconds. Pour in the rest of the boiling water and put lid on. Do not plunge yet. You have to let it sit for about 3 1/2 minutes. Finally, slowly push down the plunger. This pushes all of the ground bits of coffee to the bottom, so that they won't be in your drink. It's a good idea to drink it as soon as possible, because the longer it sits, the stronger it may taste and it can get quite bitter. I love the etched design in the metal. The handle is very sturdy and keeps your hands safe from getting burned. This product is dishwasher safe too. 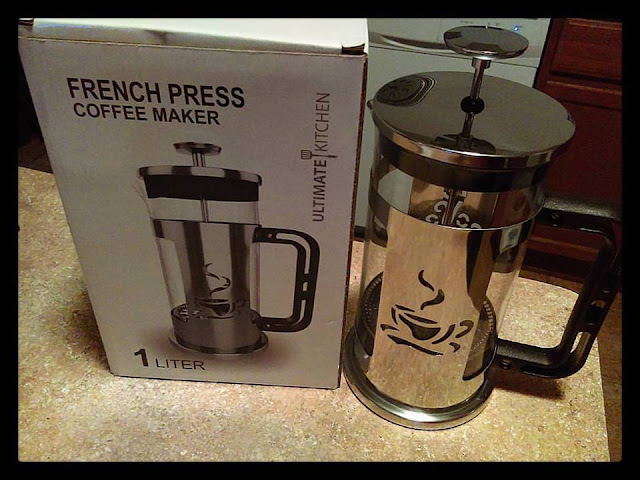 For a video on making the best French Press Coffee, please visit this page.